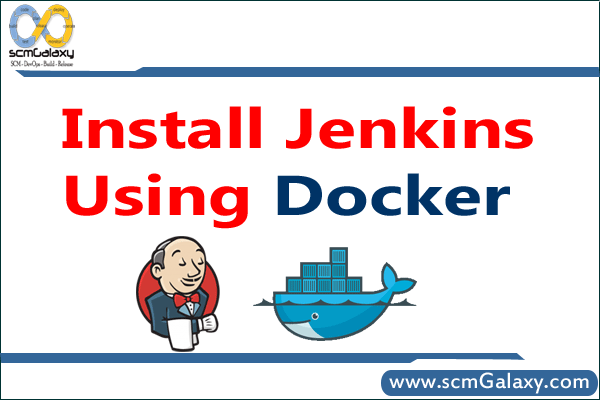 Step 2: First, pull the official jenkins image from Docker repository. Step 3: Next, run a container using this image and map data directory from the container to the host; e.g in the example below /var/jenkins_home from the container is mapped to jenkins/ directory from the current path on the host. Jenkins 8080 port is also exposed to the host as 49001. Mapping port 8080 on the host to the container (the web ui), port 50000 to port 50000 (for build agents). Run with `-p 50000:50000` so you can connect JNLP slaves. For port 50000. This is to handle connections from JNLP based build slaves. This will store the workspace in /var/jenkins_home. All Jenkins data lives in there including plugins and configuration. This will store the jenkins data in /your/home on the host. Ensure that /your/home is accessible by the jenkins user in container (jenkins user – uid 1000) or use -u some_other_user parameter with docker run. How to see the Jenkins log? As we have successfully run Jenkins Container, we can browse Jenkins Web Interface using our Web Browser by pointint to http://ip-address:49001 or http://localhost:49001 according to the configuration.